The UC San Diego men’s basketball team has had a brilliant start to the regular season, going 8–0 in California Collegiate Athletic Conference play and boosting its overall record to 13–2, with its last defeat on Dec. 12 versus Western Washington University. In the month of December, UCSD took full advantage of its home court in a six-game stretch of home games, with its only loss coming at the hands of the aforementioned Western Washington. 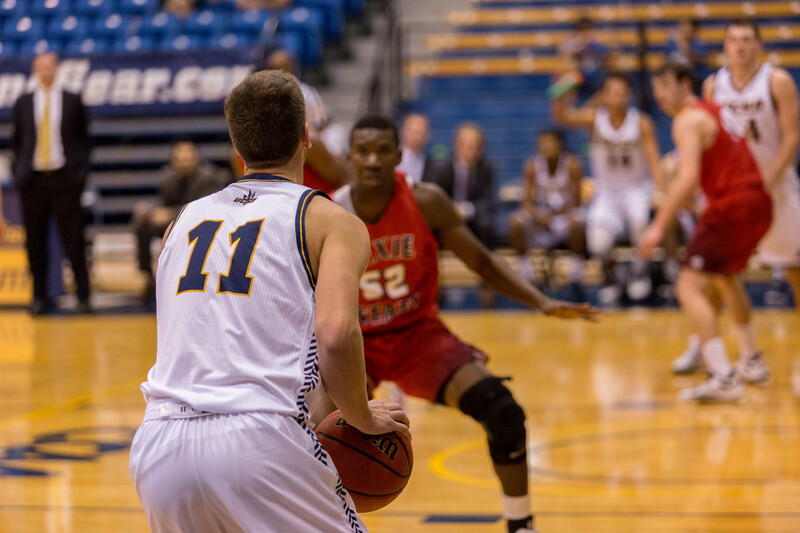 However, during the homestand, the Tritons grinded out victories against a 17th-ranked Chico State and a solid Cal State Dominguez Hills team. As the Tritons welcomed the new year, they also began and are in the midst of a four-game road trip. Their last two meetings have come against Cal State Monterey Bay and Cal State East Bay, both surprisingly narrow victories given the two teams’ below .500 record in conference play. Moreover, UCSD’s latest victories have helped maintain their 15th national ranking, seven spots better than their 22nd ranking at the beginning of December. Additionally, their 8-0 conference record has them atop of the CCAA standings with San Francisco State and Chico State right behind with only one loss on the season (7–1). With the standings as they are, Friday night’s match-up versus San Francisco State will have an extra importance and will be a real road test for the Tritons. With a win, they can pull away in the conference standings and make a statement to the rest of the conference. During the team’s current six-game win streak, senior guard Adam Klie has led the way in the scoring department with an average of 16 points along with seven rebounds. Another standout Triton, sophomore center Chris Hansen, has averaged 12.8 points and 6.5 rebounds during the six games, including a 24-point and seven-rebound performance against Cal State Dominguez Hills in December. Klie and Hansen both will lead the way on Friday, Jan. 13 when UCSD takes on San Francisco State followed by another tough matchup on Saturday against Sonoma State to end the road trip. The results of these two games can potentially shake up the conference standings; therefore, the Tritons need to play some of their best basketball in the coming games. Both games are set for a 7:30 p.m. tip-off.